An assessment of various Information Commissions in India has revealed a pendency of 1,99,186 appeals and complaints at the end of October 2017 in 23 commissions with many functioning with reduced manpower in states like Kerala, where a lone Commissioner is running the show with a pendency of 14,000 appeals/complaints. The revelation has been made in the “Report Card on Performance of Information Commissions in India” by Satark Nagrik Sangathan (SNS) and Centre for Equity Studies (CES). The assessment found that the number of appeals and complaints pending on December 31, 2016, in the 23 information commissions, from which data was obtained, stood at an alarming figure of 1,81,852. The pendency increased to 1,99,186 at the end of October 2017. As of October 31, 2017, the maximum number of appeals/complaints were pending in UP (41,561), followed by Maharashtra (41,178) and Karnataka (32,992). The CIC, with 23,944 pending appeals and complaints, came in at number four. There were no backlogs in the SICs of Mizoram and Sikkim. Using the monthly disposal rate of ICs and the number of appeals/complaints pending, the study also computed average time it would take for an appeal or complaint filed on November 1, 2017, to be disposed of by various ICs. It found that an appeal/ complaint filed on November 1, 2017 in the West Bengal SIC would be disposed of in 43 years. In Kerala, it would take 6 years and 6 months, while in Odisha more than 5 years. The study found that though the RTI Act empowers the ICs to impose penalties of upto Rs. 25,000 on erring PIOs for violations of the RTI Act, many ICs did not impose penalty even in deserving cases. “The assessment found that for the period January 1, 2016 to October 31, 2017, the 22 commissions which provided relevant information, imposed penalty in 4,194 cases (appeals and complaints). “Penalty amounting to Rs. 4.41 crore was imposed by these 22 commissions during the period under review. The quantum of penalties recovered for the same period was Rs. 49.73 lakh,” it said. In terms of quantum of penalty imposed, Karnataka was leading with Rs. 1.69 crore, followed by Haryana at Rs. 95.97 lakh and Uttarakhand at Rs. 72 lakh. CIC imposed penalty amounting to Rs. 29.36 lakh in the time frame under consideration. The SICs of Andhra Pradesh, Bihar, Madhya Pradesh, Maharashtra, Rajasthan, Tamil Nadu & Uttar Pradesh did not provide information on penalties imposed and recovered. While RTI Act is all about transparency and making information public, the assessment revealed that 18 out of 29 ICs (62 percent) had not published their annual report for 2016 on their website. Punjab SIC has not published its annual report after 2012 while Jharkhand, Telangana and Andhra Pradesh have not published annual reports after 2013. While Uttar Pradesh IC stated in response to an RTI application that the annual report for 2016-17 had been published, the same was not available on its website. Under the RTI Act, information commissions consist of a chief information commissioner and up to 10 information commissioners, the assessment found that several ICs were non-functional or were functioning at reduced capacity as the posts of commissioners, including that of the chief information commissioner, were vacant during the period under review. After the bifurcation of Andhra Pradesh and Telangana, the Andhra Pradesh government issued an order regarding the constitution of the SIC of Andhra Pradesh in August 2017, but till date, not a single commissioner has been appointed to the commission. Therefore, the SIC of the state of Andhra Pradesh is yet to become functional. The SIC of West Bengal is currently functioning with just two commissioners while the SIC of Sikkim was defunct for a period of 2 months from December 2017 to February 2018, when the lone commissioner retired. Maharashtra, Nagaland and Gujarat has the post of Chief Information Commission lying vacant with the post of Maharashtra SIC being vacant since April 2017. Coming back to the registration and disposal of appeals and complaints, 2,76,405 appeals and complaints were registered and 2,14,809 were disposed between January 1, 2016, and October 31, 2017, by 23 ICs which provided the requisite information. UP registered the highest number of appeals and complaints (83,054) followed by the CIC (47,756) and Karnataka (32,403). Mizoram and Meghalaya registered the lowest number of appeals and complaints at 21 and 63, respectively. In terms of disposal, the CIC disposed of the highest number of appeals and complaints (54,219), followed by UP (42,911) and Karnataka (28,648). 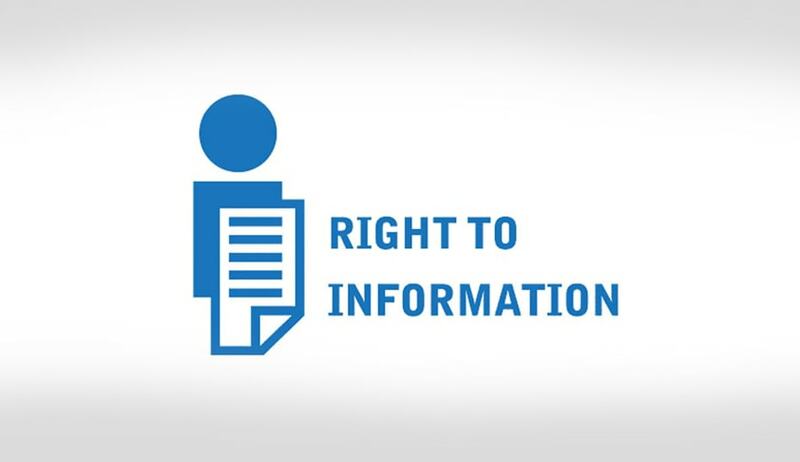 The information commissions of Andhra Pradesh, Bihar, Madhya Pradesh, Maharashtra, Rajasthan and Tamil Nadu did not provide information under the RTI Act regarding the number of appeals and complaints dealt with by the ICs. “A concerning trend that has recently emerged relates to ICs returning a large number of appeals/complaints without passing any orders. The CIC returned 27,558 appeals/complaints during January 2016 to October 2017. The Gujarat SIC returned 9,854 appeals/complaints during January 2016 to October 2017. “This is extremely problematic as people, especially the marginalised, reach the commissions after a great deal of hardship and a long wait. Commissions need to facilitate and assist people in the process of registering their appeals/complaints, rather than summarily returning them due to a deficiency,” stated the paper which will soon be followed by a report.